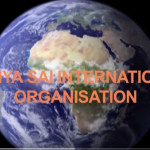 The following two videos have been developed to introduce the Sathya Sai International Organization (SSIO) to the public. The first video is the full length video and the second one is a condensed version of the same video. These videos can also be shared on your favorite Social Media site. Visit Sathya Sai Universe on .